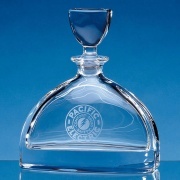 Round shape with flat front. 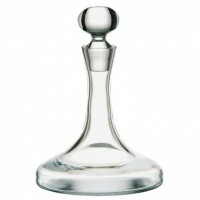 Stands 370mm / 14.5in tall. 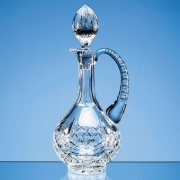 Handblown in 24% lead crystal. 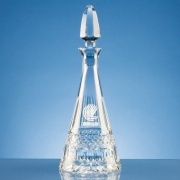 Crafted in 24% lead crystal. 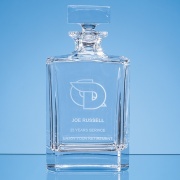 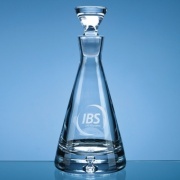 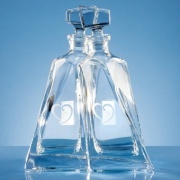 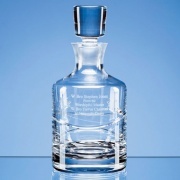 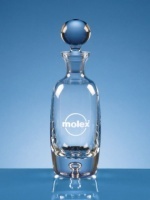 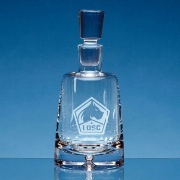 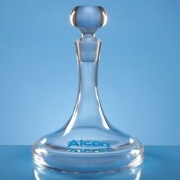 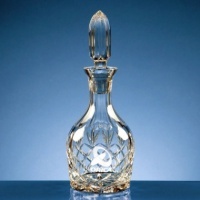 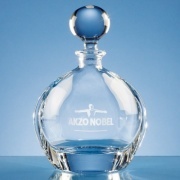 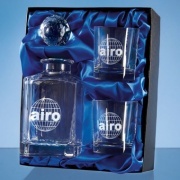 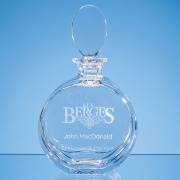 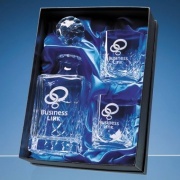 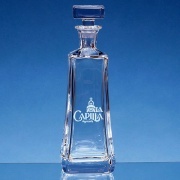 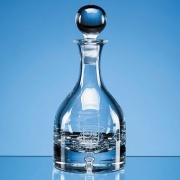 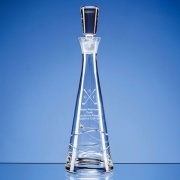 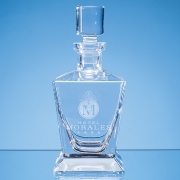 These fine quality crystal decanters can be engraved with text and/or a corporate logo to create unique and distinctive presentation items. 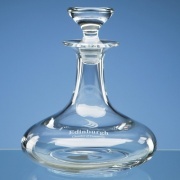 Personalized wine decanters are a gift that will be treasured by wine lovers for years to come, allowing them to enjoy their favourite bottles from a stylish, personalised decanter every time. 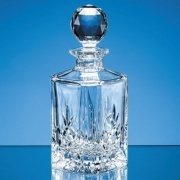 Our crystal whisky decanters (that's whiskey decanters for those who prefer Irish to Scotch whiskey / whisky) are hugely popular as retirement gifts or as commemorative items. 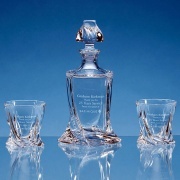 To complement your engraved crystal decanters, why not select a pair of crystal goblets or crystal tumblers from the selection available on Crystal Awards Supplier? 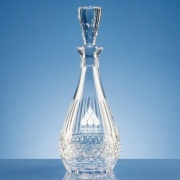 As with the lead crystal decanters shown above, all our goblets, flutes and tumblers are offered with low, fixed-cost text engraving, free logo engraving and fixed cost UK delivery. 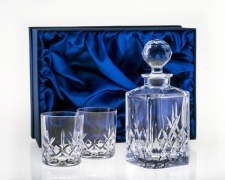 Presentation boxes are also available for some of these crystal decanters, making an outstanding and highly memorable presentation gift set.